Asys Events designed the lighting and provided crew for this 1 week run of Oklahoma. The lighting design had to account for naturalistic indoor lighting alongside the outdoor and nighttime scenes. 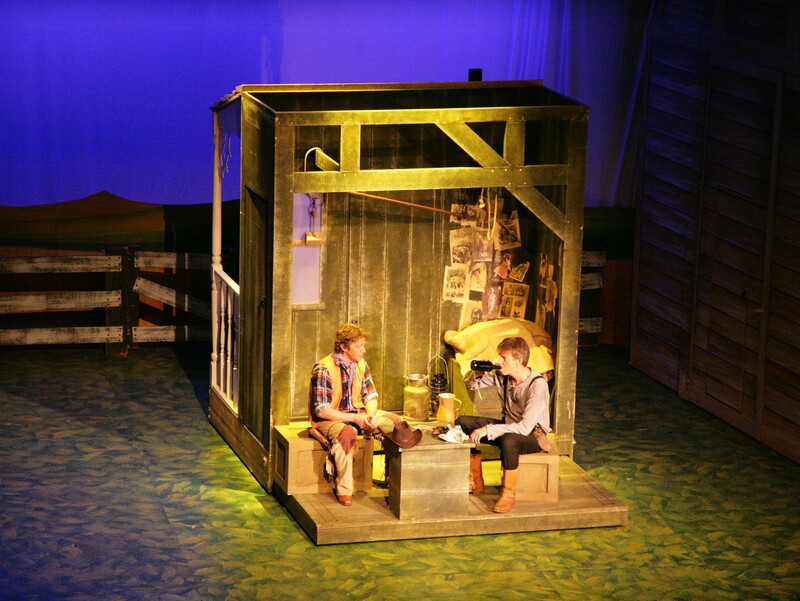 Scenic Projects set provided a fantastic base around which the lighting design was constructed. Specials in the form of window effects, scenic highlights and and area backlighting created a different depth to each scene and emphasising time of day and reduced lighting for musical numbers. The additional set floor made the lighting design simpler reducing the need for breakups and gobos.